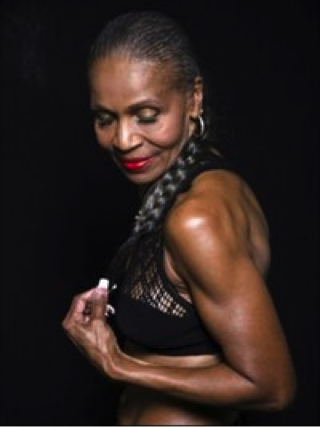 Ernestine Shepherd is the world’s oldest female body builder, at a young 75 years old. Ernestine says it takes determination, dedication and discipline to be fit, and that getting fit can happen at any age. Cardio: Spend 30 minutes walking outside each day. Arms: Start with a five-pound weight in each hand, and put your arms at your side. Raise your arms so they’re parallel to your shoulders, keeping them straight as you lift. Repeat 20 times, rest for five minutes and do 20 more. Legs: Lying on your side, put your legs side by side on the ground. Keep your top leg straight as you reach it up high. Repeat 20 times, switch legs and repeat.